Right now I’m testing (and always searching for new) some new pressed eyeshadows with natural ingredients. I will start my journey with Lauren Brooke cosmetiques, which was btw. one of my first natural brands from US that I’ve tested years ago. I’m really glad to see their brand growing and constantly improving. I have written in the past about them (and used their products) here and here. Lauren Brooke has already got a nice selection of powder eyeshadows and also some creamy ones. She has added now to the collection also 8 pressed eyeshadow duos, which are the same shades as powder eyeshadows. I find this a nice idea, very handy to use and for carrying around. The packaging is silver grey with a mirror and it contains 2grams of eyeshadow. I adore the texture of these eyeshadows because they are so pigmented and with a fantastic silky velvety texture that glides smoothly on the eyes. They are very easy to blend. The only thing that I personally dislike a little bit are big shimmery particles in a few shimmery shades, which can emphasize lines and wrinkles even more, especially on older skin. But this is just my personal opinion. Green makeup tip You can easily use those eyeshadows even with a wet brush and apply them like an eyeliner. Especially the dark matte browns look pretty for a day look when you wear a nice cat eye flick in chocolate brown! If you want a dramatic look, just set them with water (regularly applied as eyeshadow) they will look even more intense. On the pictures I have put the eyeshadow along with the color swatch. I haven’t got anything on the skin and so the pigmentation is awesome. Just a small amount is needed for a good result. Because there was so much natural light from the window the pigmentation faded away and I can tell that in live is even more pigmented. Usually, I wear (my favorite are: Tanzi/moondust, Capuccino and Toffee/Sandalwood) them alone or on top of a primer and they have a great stability. I don’t find them to crease, but I have dry skin on eyelids so this texture is perfect for this type of skin. As you can notice from my blog I have now found a quite a lot natural pressed eyeshadows that are working great for everyday use. I will keep you updated with new ones. 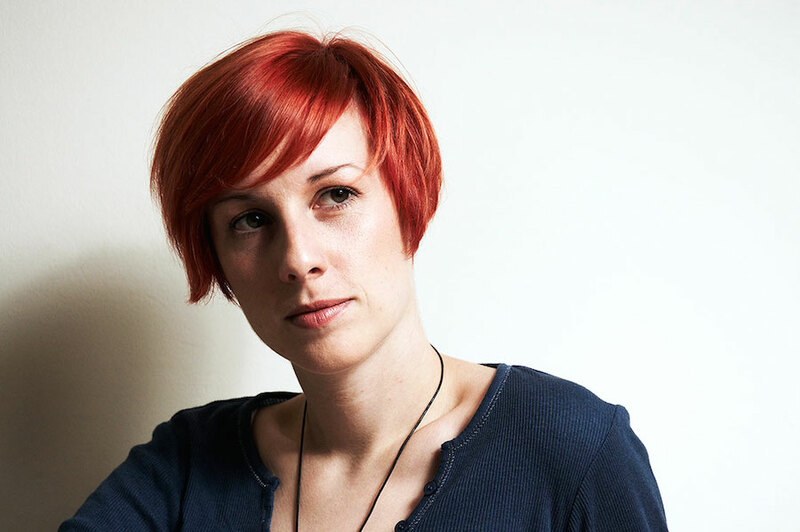 Have you tried anything from Lauren Brooks? Share your thoughts please! On the global market there is a huge amount of many brands, especially with minerals, from small to big ones. And to choose something good, regarding ingredients and the whole product, is not simple at all. 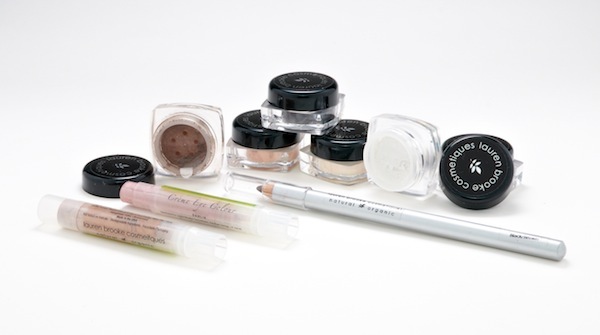 In “My new discovery” category I am very glad to announce a new brand of mineral make-up that I discovered recently: Lauren Brooke cosmetiques. There were many things that encouraged me to try their cosmetic. Firstly, a very good list with high quality ingredients. They are also a proud signer of The compact for safe cosmetics and last but not least, their service and kindness is astonishing! To be honest, I don’t remember exactly how I came across this nice brand from the United States, precisely from Utah. I know that we got in contact through email and the rest is history. However, is not history in terms of make-up 🙂 Our collaboration and make-up adventure just began, so let me introduce you the brand Lauren Brooke cosmetiques and their mineral make-up. What fascinated me most, are their mineral makeup cream products. Not many brands – with safe ingredients! – have in their collection even cream foundations and concealers, cream eyeshadows, lip paints,…and yes, even amazing eye and lip pencils! Needless to say, that I was extremely curious to try their products. After having shown my interest for their products, the staff sent me an amazing set of colors and make-up, all to discover! I will start with my review with their face products that charmed me the most. Professionally and personally I tend to give priority to cream foundations and concealers, rather than powder mineral foundations. I admit that after having tried both of them, I’m sometimes in doubt which one I prefer. They both give very good results. The range of mineral powder foundations includes 18 shades; 6 cool, 6 warm and 6 neutral. The choice is really good. They come in a plastic jar with sifter in travel size (6g) and normal size (13g). Among their beneficial ingredients you will find: Jojoba oil infused with flower essences of cherry plum, comfrey derived allantoin (a cell proliferant that speeds up the natural replacement of body cells), MSM, certified organic extracts of neem, olive and raspberry. The result after the application is a light silky coverage with a natural, non-chalky effect. I really don’t like the heavy “mask-like” application of mineral powders. The next product is the finishing powder that comes in a 6g jar. This product is very good for absorbing extra oils or for setting the mineral foundation. You can wear it alone or on top of the cream/powder foundation. It is made from: organic arrowroot powder and natural clay and it is available in one translucent shade. Creme foundation and creme concealer are my absolute favorites! 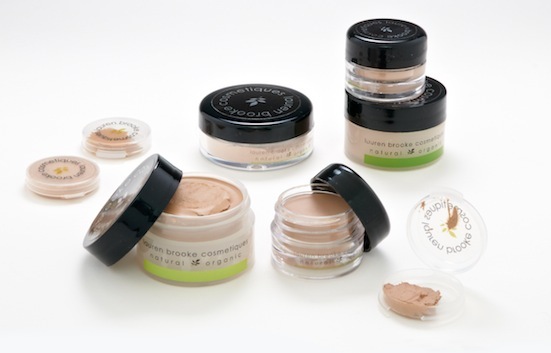 The creme concealer includes 6 shades and it comes in a 8,5g (0.3 ounce) jar. Since it provides a very good coverage, you can use a small amount and the quantity is really appropriate and handy. The shades are created very well, because they tend to have a yellow undertone, which is very good to cover dark circles under the eyes or redness on the skin. Lauren Brooke Creme foundation is really a great product. Not every brand manage to create good creamy products. Among Zinc oxide that provide a UVA/UVB sunscreen there is a huge range of beneficial ingredients in it: certified organic oils from jojoba, rosehip seed and neem, natural vitamin E, certified organic extracts from green tea, passionflower and raspberry, just to name a few. The collection has a good choice of colors: 5 neutral shades and 7 warm. This foundation provides a medium coverage, but at the same time it gives a smooth and flawless appearance. The smell of all creamy products is neutral and pleasant. If you want, you can mix together the products to obtain a custom-made shade for special needs. If mixed together, they work very well. If you have oily skin, you can wear finishing powder over this foundation. In case of dry skin (like mine) I wear it alone and it does not travel on the face. The range of powder eyeshadows is really a rainbow of colors and effects! From shimmer, matte to metallic effects, the choice is really wide! For those who love to add a lot of opalescent sparkle on the eyes, there is a collection of eyeshadows called Mystics. It includes light shades such as ice white, light gold or amethyst with a frozen glitter effect. There are also collections of Shimmers and Sparkles with gorgeous rosy, beige and gold shades. The widest is the Matte collection that has browns, plums, grays and greens. 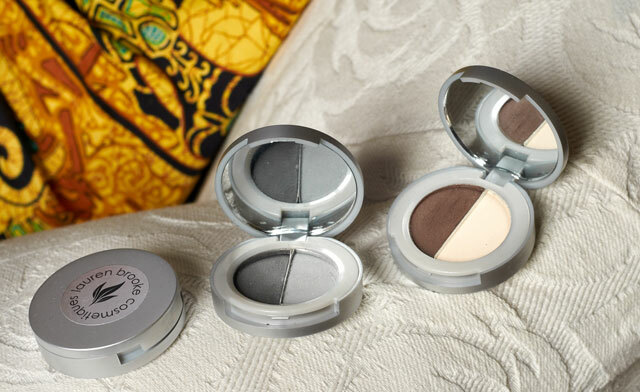 There is also a nice special offer with the Trio sets: coordinated eyeshadows to create a classic smoky eye or natural look with perfect color combinations. Again, another cream product that I suggest as a must-have is the Creme eyeshadow! All my compliments! I use it now all the time for myself and I’m in love with the Dahlia shade. 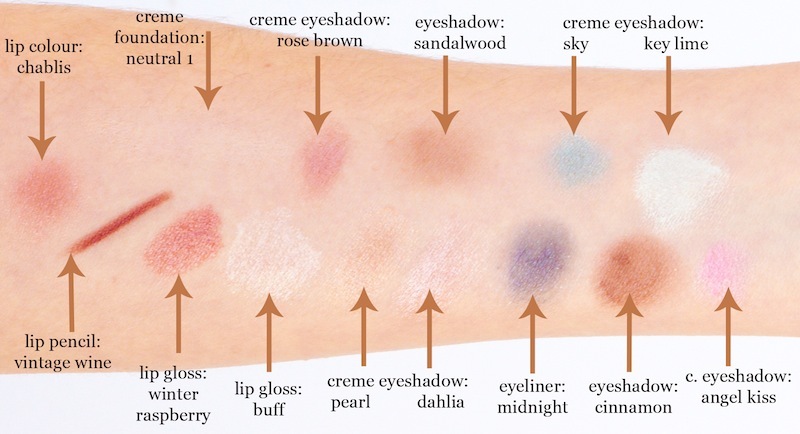 There is a collection of 11 shades of this eyeshadow in handy stick version. I can describe the shades like multifunctional colors that add radiance to your eyes, without too much shimmer. The texture is soft and nourishing because of oils like grapeseed and jojoba oil, shea and avocado butter, certified organic rosehip oil and vanilla extract which are really top ingredients! 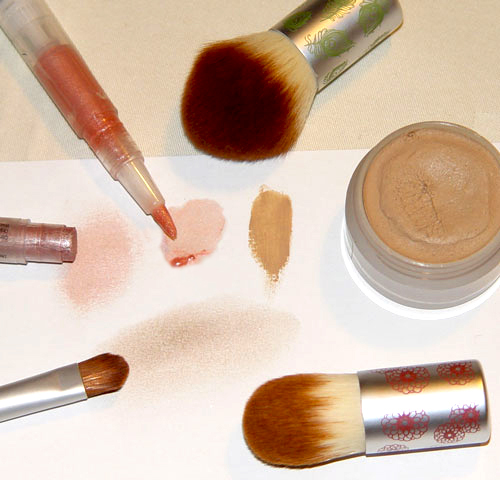 You can wear the cream eyeshadows alone or you can wear them in combination with the powder eyeshadow and/or eye pencil. 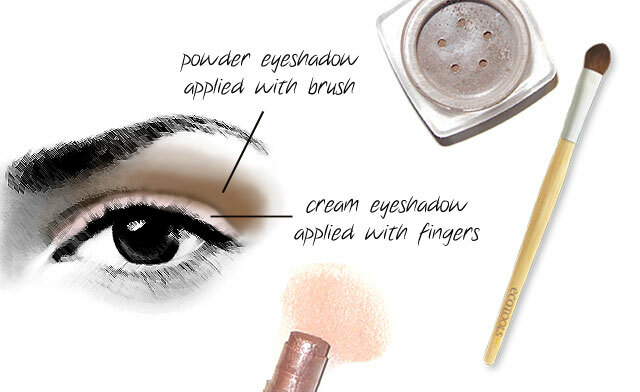 If you find it to “travel into the crease” of the eye, simply set it with finishing powder or complement it with a powder eyeshadow. Definitely all to try! When I tested the lip products I almost wanted to eat them 🙂 They smell so nice! 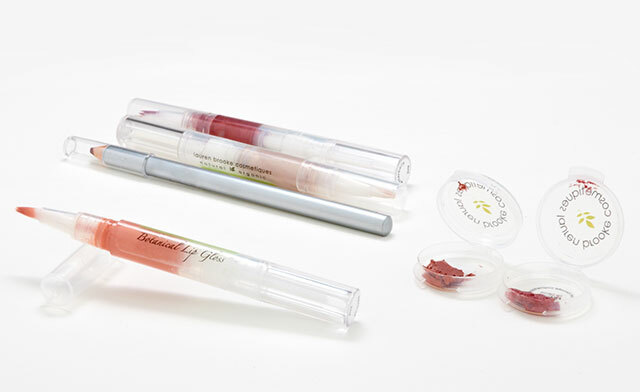 Fruits in a gloss! The botanical lip gloss really surprised me. I’ve tried just shimmery shades. However, I like that they are not too sticky, they have just the right amount of hydrating and moisturizing effect. The application is very easy and precise, because of the tube with brush applicator. Among 12 shades all to choose, you will find extremely pigmented glosses with the shade you need: from clear, light beiges, corals, to a deep glamour berry red! For those who wants just a touch of color, I suggest to try the Lip color. A fruity scented tints that will give you the right amount of color while nourishing your lips with organic oils and butters. My new discovery is revealed, but as I mentioned above, you will hear more from me in the future about Lauren Brooke brand, because their line include also body and face care products…Until then enjoy your shopping in their webshop! If you need any additional help regarding the use of products, I will be glad to help you.